If you are a currently certified or licensed mental health, social work, or educational professional, this course will prepare you to add equine-assisted activities as a service you can offer to clients. Plus, up to 54 Continuing Education (CE) credits are available for LMFTs, LPCCs, LEPs, and LCSWs. However, it’s not required that you are certified or licensed to successfully complete this training. The bond between humans and horses dates back thousands of years. Horses are highly intuitive animals, keenly aware of the slightest energetic or emotional shift. Unlike most adults, who have been socially trained to relate to life through stories, judgments, or an inner dialogue, horses live in the present moment and reflect the environment around them. Therefore, they consistently mirror back the thoughts and behavioral patterns that humans present. Horses are large and powerful and can seem intimidating to humans. This creates a natural opportunity to overcome fear and develop confidence. Working alongside a horse provides an opportunity to see communication and behavioral patterns, uncover limiting beliefs, shift those in the present moment, and practice new skills. Clients learn about themselves and others by participating in activities with the horses, and then processing (or discussing) feelings, behaviors, and patterns. Sensory-based, multi-modal, experiential approaches that include active participation by clients are key complementary modalities to therapy that is done in the office. Attendees who complete this training will leave with a deeper understanding of the value of equine-assisted activities, the resources available locally, and ways to collaborate with equine facilitators to increase supportive, experiential activities for their clients. The training advisor for this educational activity is Renee Sievert, RN, MFT. Read her bio or schedule time to speak one-on-one with Renee about this training. Continuing Education (CE) credits are available for this course for LMFTs, LPCCs, LEPs, and LCSWs. *Cost for CE is an additional $295 for up to 54 contact hours of Continuing Education. Please check with your state board to ensure that credits will be accepted from CAMFT-SD, a CEPA provider approved by the California Board of Behavioral Science Examiners. 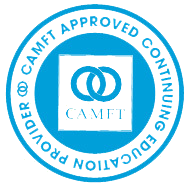 San Diego CAMFT, provider #57330, is approved by the California Association of Marriage and Family Therapists to sponsor continuing education for The Koelle Institute’s Equus Coach Training. San Diego CAMFT maintains responsibility for this program/course and its content. Our Equus Coach Training is now enrolling for Fall 2019. Spaces are limited. The deadline to register is August 30, 2019.